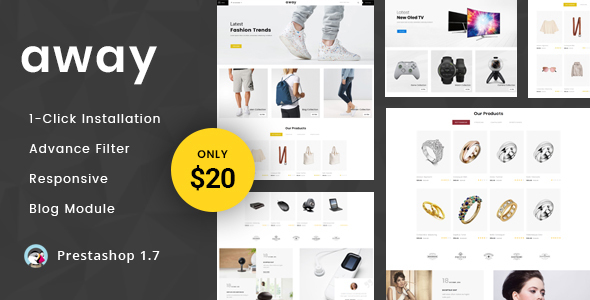 Away Multipurpose Prestashop Responsive Theme has three unique layouts. It is specially designed for Fashion store, Jewelry Store, electronics, beauty products, automation, digital, lighting, autoparts, cars, clothes, furniture, tools, food, automation. This theme is beautiful with the combination of colors and layout. All secondary pages are customized. It is very nice with its clean and professional appearance.